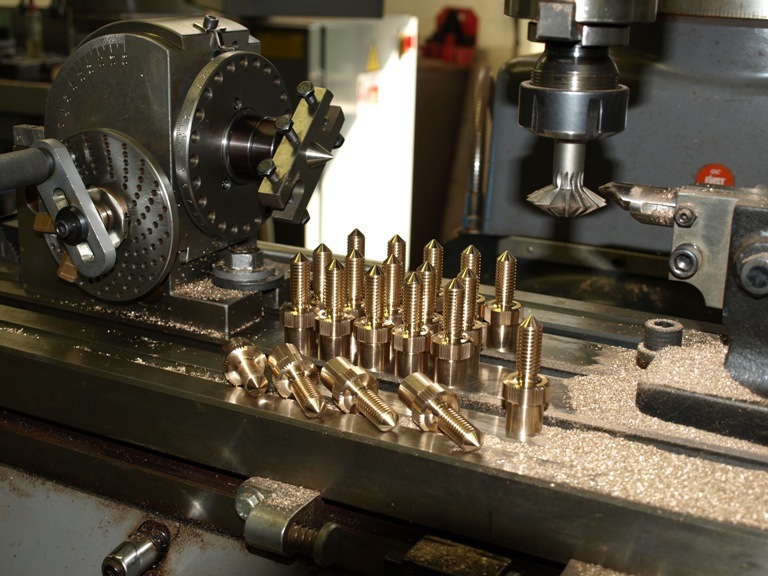 Here is the making of the thumb screws. It is only just a few shots taken at random so there are a lot of steps missed out. 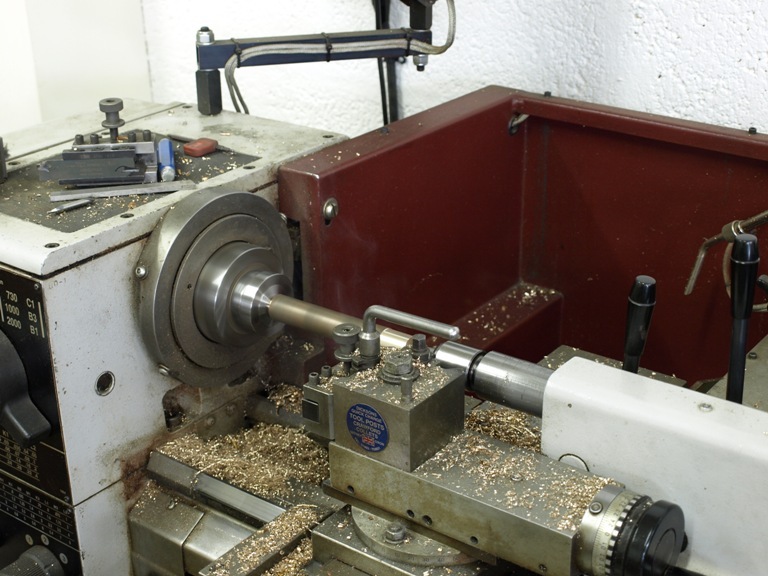 Truing up an extruded gun metal bar on the lathe, for thumb screws and adjuster knobs. i.e. each bar cuts two thumb screws and two adjuster knobs. These are the gun metal blanks after truing up and adding centres on the ends for work holding. 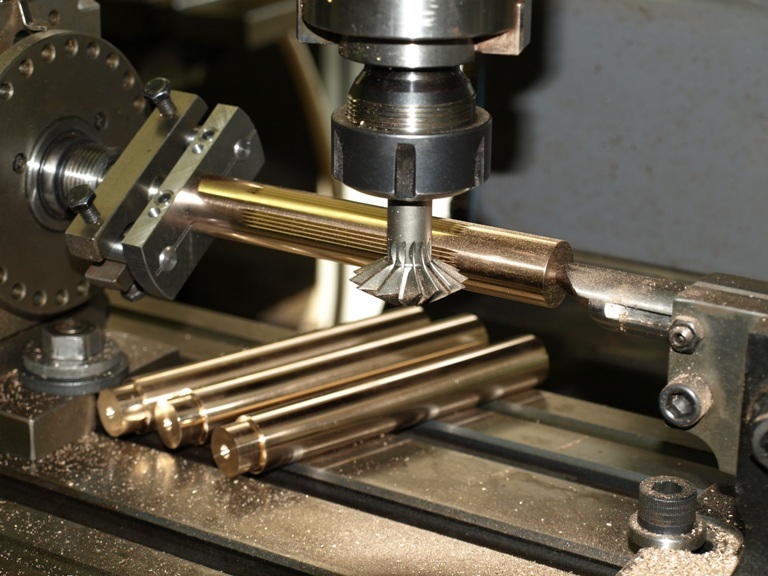 The dividing head and tail stock are ready – set up for knurling the blanks. 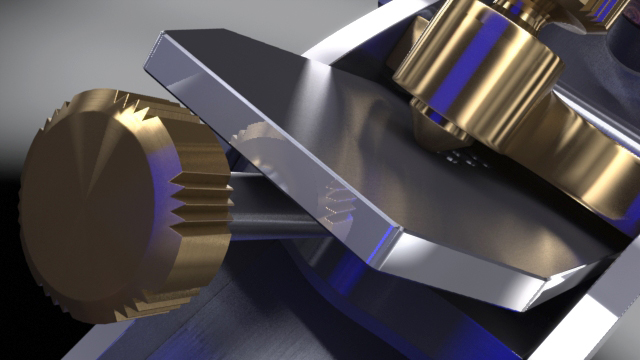 This is a very costly and complicated way to produce a knurl, but for this knurling there is no way other than to index it on the milling machine. The blanks are set up on the dividing head showing the driving dog and tail stock. This is to cut the V shape grooves which form the knurl. The dividing head is used to index the spacing to the required divisions. This computer generated image demonstrates the knurling design for this plane and helps explain why I need to use the above process. 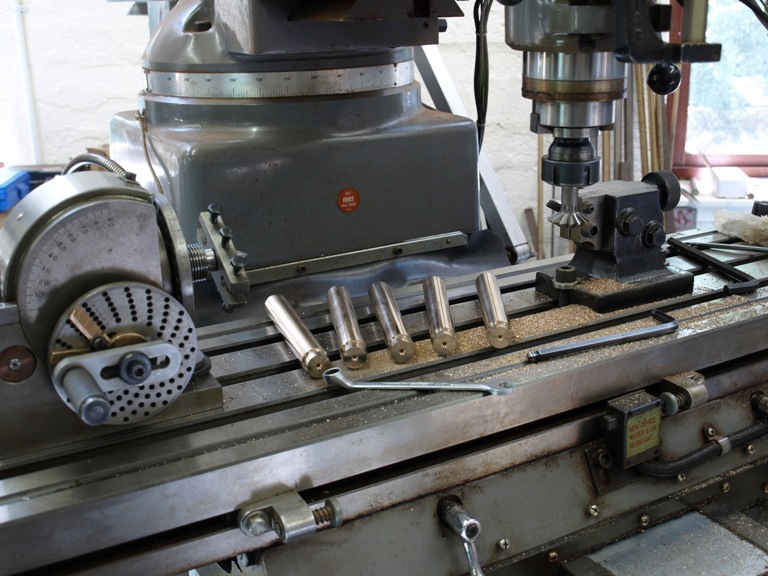 As you can see from this photograph on the milling table, all the indexing work is complete having been returned to the lathe for more turning and thread cutting. The components have also been parted. These are the thumb screws only, showing the carriers which are still to be parted off.